We all remember when Aaron Russo gave us his story of getting the inside scoop from Nicholas Rockefeller…but who is Nicholas Rockefeller? 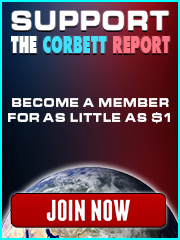 James explores this question and answers your queries on Japanese debt, IMFcoin, health care without government, the Bin Laden “confession” and much more in this edition of Questions For Corbett. Yes, very interesting regarding Japan as a formidable creditor. One would think China would be first, and yes, they would be right, when it comes to the US. So, I think James is right. Unlike the US, Japan owes to its private bank. It is important to see the US as the largest debtor nation for then one can see why they are fighting foreign imperial wars: to keep the dollar the world reserve currency, for one. As to memes, although dialectically they do some good, the issue is far worse than I think many people know. Nicholas Carr has written a book called: The Shallows: What the Internet is doing to our Brains. I highly recommend it. It’s not good news. When one thinks about it, language is primarily used to ‘distinguish’ between objects, thought, ideas, what have you. Saying one is ‘happy’ distinguishes it from ‘sad’. Saying the rent is too high distinguishes the rent from being too low. And on and on. Thus, language as a distinguishing device has been essential for human interaction and development, both subjectively and materially. What will happen when language is so dumbed down, the meme so ever present that thoughts no longer can be conveyed with language? Or am I just fantasizing? Well, to fantasize is very different than to realize, isn’t it and reality very different from fantasy. With memes: who will and does control them and how will they effect a population that cannot distinguish needs from wants? That cannot think through language but only through visuals or audio? I have noticed over the years since the 1950’s, a general deterioration of people’s desire to READ and WRITE. When I say “read”, I mean read with understanding and curiosity and interest. And perhaps thoroughness. Maybe part of the situation is that with the “Internet of Things” there is an over abundant amount of written information coming across a person’s plate. An individual does have to delegate what to read. But this doesn’t explain the lack of interest where people just glance and move on. It is interesting to note that cursive writing is not taught in schools anymore. The newer generation has a hard time reading it. I still, very often, handwrite letters to grandkids, family and friends. In cursive. and language will be in the ‘Universal Cloud’. Many thanks for a superb episode. The fact-checking/cleanup you do is so appreciated. John O. : I have some interest in this subject. Does Ms.Jacobs speak to race relationships as well as class differences . I will track it down tomorrow. Thank you for sharing , hope it will be a ” great read”. I will say that the racial situations in North America, the Caribbean, India and China could each warrant books larger than this, and that Harlan-Jacob’s main strength is in documenting the initial Masonic Anglo-Scottish-Irish-dispersion. But I don’t think you will be disappointed if you are interested in freemasonry at all. And don’t forget: in the 18th and 19th centuries the “Irish question” was very much a “racial” question. I was looking for “Freemasonry in Jamaica and the Cayman Islands” by Jackie Ranston, but it seems to be a ghost citation. Would love to hear your comments, General, sir. Thanks for your work James. Compared to the 1960’s, many verbal voice intonations have changed. I am not talking about terms or words, like “hip” or “Cool man”. It has to do with the way some folks talk, their voice or sounds they produce. It is more than an accent. It is almost like the voice has assumed characteristics of an identity. One particular voice change is the “Barbie” voice in some women, especially younger women. Not all, just some women. The voice is kind of a squeaky high “Daddy’s little girl” Barbie sound with odd intonations and nuances and phrases. I am not criticizing the voice, just noting the change. In the 1960’s, women did not talk that way. ‘Stirring further confusion about Rockefeller Group in the minds of some government officials earlier this year was the arrival of one Nicholas Rockefeller, a Los Angeles attorney, who says he appealed personally to Shanghai Mayor Han Zheng to take over the project after hearing it was troubled. He says he suggested to the mayor that his name would make it easy to adjust any contracts. It’s also interesting that Nick Rockefeller is mentioned as Chairman of the Board of Advisors of a company called the Global Agora team, in the picture on this website you can see him together with founder and CEO of Global Agora, Nick Matzorkis. Almost all American board members of this company are related to US Search, a company that was tracking personal data of US citizens on the internet in the nineties and were selling this information. Nick Rockefeller also owned large amount of US Search shares together with Nick Matzorkis. Also Nick Matzorkis was the main client of the Heavens Gate cult company, which developed websites (like US Search). The heaven’s Gate cult committed “suicide” resulting in 39 deaths when they were working for Nick Matzorkis. Nick Matzorkis was constantly in the news putting out the official narrative. A site called underground1.com claims it has proof that Heaven’s Gate was working for the CIA and that http://www.underground1.com was raided by FBI/CIA when they were putting out information about Heaven’s Gate (and 9/11). According to US-Search, Matzorkis has now moved to Austin, homebase of Alex Jones’s Infowars and known CIA hub. Another clue that Nick Rockefeller is a fraud: he mentions himself as a member of the advisory board of RAND, but is not mentioned anywhere in the RAND internet archives. Thank you for this info, Manuel. The quote from David seems particularly definitive that he is a very distant relation at best. Sorry, I grew a bit lazy, so I didn’t finish my research yet, or happened to write an article with more definite answers, which I originally wanted. Wanted to provide four details here though now. It is usually (always?) Asia Pacific Policy Advisory Board. Employers range from Perkins Coie LLP to RockVest or several others of his firms. http://www.nicholasrockefeller.net/rand_dinner/ Photo on his website alleging RAND dinner. My take on this is, he is very likely not part of THE Rockefeller family (less than 500 people), but could very well stem from the larger Rockefeller family, meaning from the family (parents etc.) of snake oil Bill (possibly thousands of people). After all he had a lot of siblings. And the Rockefellers became also Rockafellows, Rockefellows etc. For example he could stem from several ones now located in the Michigan area, specifically Gagetown. They all seem to be not of THE Rockefellers, but still of the larger Rockefellers. They themselves seem to come from Ontario Canada (snake oil Bill maybe didn’t only simply flee to Canada but to (some of) his family). Ah, got longer than I thought. Not the wished article though. Before it is totally out of date. I started searching for Nicholas Rockefeller. I will point out some results. The Matzorkis website and the nicholasrockefeller.org (as well as .net) are all related as well with a couple of others. I thought, okay, well, let’s find out how he is connected (post this here) and then prove the likely evidence he is one of the Rockefeller family (as suggested by the cited LAT article by James as well as an NYP article as well as the Matzorkis stuff) – or disprove it, if not. The more I am searching the more confusing it gets. He is a CfR member but has only a one-time appearance and this is NOT personally but only by letter: https://www.cfr.org/event/conversation-ali-akbar-salehi (I believe it’s at 44 minutes, it’s scripted anyways). He is definitely mentioned in 2003-2007 RAND reports as a member of the “Asia Pacific Policy advisory board“ (NSRD Annual Report). However! Up to this moment I am actually more convinced he is a kind of impostor, in the sense he used his name to achieve high level positions or connections – some of them are unclear, like Perkins Coie LLP (an extraordinary influential law firm, visiting their website to check it out (a blockchain headline) may be worth it) – and create companies with high sounding names, sometimes referencing companies which may or may not actually existed. Also he is not mentioned on any “philanthropic” Rockefeller sides I visited. Their are other reason why I am not convinced he is a member of the Rockefeller family. Nick Matzorkis is a very special guy too – apparently with the need to brag about high level connections he one times made. It just got too much (Cayman Islands Hedgefund connection? ; a 160 million dollar case against him?) at this moment. Also it was a perfect example how a startpage search will omit some google search results. I will try to bring this to a conclusion but it will take time and so I wanted to mention it here ahead. Furthermore there is the state bar of California site mentioning Nicholas Rockefeller (no picture) with address and phone number in L.A. It is probably totally outdated but maybe some American wants to check that out. PS: I did not forget to activate email notification this time if anyone likes to comment further xD. YES! YES! YES! This is the of content I’m looking for to animate! I wasn’t even looking for it when it zoomed by. The oil movies are too deep and serious to get quotes from. While anarchy won’t protect you from tribalism, I still believe it’s an ideal worth striving for. But since we are forced to have corrupt exploitative “leaders” to pretend to vote for, and everyone is crying out for voting reform… Why not merge the simpleton voting for with the complex tax form to vote on issues rather than puppets thereby actually getting taxation with representation, assuming the rest of all elections aren’t rigged? I love it! You are right. Spot on. When I watched the video the first time, that line “Keep Voting Harder” just hit my funny bone. I couldn’t help but to laugh. Repost the link to your graphic. James, you have a wide and very influential audience … especially these folks https://therulingclassobserver.com/2017/10/30/the-uses-of-divide-and-conquer/ “They” deserve your attention and we deserve an in depth report on “Them” … PLEASE. What keeps Saudi Aramco’s IPO from happening on China’s new ‘paper castle’? Saudi ‘petro-dollar’ will have to get shorted eventually. A financial ‘Thucydides trap’ if you will. Apparently Qatar was already doing Yuan denominated contracts for their carbon chains according to AT and Pepe Escobar http://www.atimes.com/article/house-saud-bows-house-putin/. More on The Fat Bin Laden Confession Video. …The volume is unintelligible in few spots, but the translation is more or less OK.
What is really “strange” and spooky is the setting of the “meet”. It appears to be Osama Bin Laden visiting with a person (I don’t know who this person is) who has just survived a life threatening incident, (person covering his legs with blanket), yet, they hardly spoke about what happened to him, and instead, Osama Bin Laden (prompted by the other speaker who is not on the video) was busy showing off in no organized fashion. The whole thing was weird, and you would never see it in a real Arab community. It is just not how things are done in our community, and appears to be orchestrated or at least “put on”, and not genuine for whatever reason. (Could Osama Bin Laden be testing the person in question??)…. Hi James. Thanks so much for doing this segment. You are likely one of the most “self informed” people on the planet. Thanks so much for sharing what you discover. I have a question for you. It seems you did a segment at one time on who originated the whole UFO/aliens thing. Could you please refer me to that? 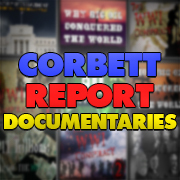 Thank you James Corbett. I found the piece on “How Government Solved the Health Care Crisis” particularly enlightening. For quite some time, I have debated with friends the importance of small governments (i.e. fraternities, service groups, church groups, etc.). At the grass roots level, these small groups have the peoples’ best interests at heart. When governments get too large (i.e. provincial, federal, global), they become impersonal, and insatiably greedy. Rediscovering the health care strategies of the early 1900s is an important social tool that should be revived. Thank you for your work. What was the last thing you discovered which truly shocked or surprised you? I wanted to ask if there is a way to download your videos in high quality (720p) without using youtube? I know that we can download them from your site or BitChte if we want to avoid youtube but the quality is low in both cases. While I understand that it’s probably to save space or some other technical reason, I was wondering if it’s possible. Just wanted to bring this links to your attention. It’s an item redacted and send to the memory tube. Basically saying that we should not examine our own life. Or maybe this was the correct way to understand Socrates quote, this whole time. Hmmm…Plato’s Cave Allegory comes vaguely to mind. Hey James, new member here, I’d like to hear your thoughts on 5g wireless technology and the future use of it being put in all new vehicles and electronics. In my news feed on FB I was offered a free E-book from MATLAB about the future of 5g and it’s scary how it’s plays exactly into a Orwellien technocracy type of future and the ebook had a timeline for middle 2018 for releasing the first 5g equipped technology. Thanks, Chris. On your episode ‘The Revolution Will Not Be YouTubed’ you recommended to your readers/viewers that if they come across important material (for example great articles, podcasts and video’s) they then should save it locally to their hard drive so that it can’t disappear. This is what I am currently doing, but the problem is that just saving all those different types of multimedia becomes chaotic to manage without some kind of system when the collection grows. Could you tell me if you have a preferred ‘Multimedia Database Management System’ or some other kind of system that you use to manage your own collection of important material, and keep track of why you saved a particular piece of information in the first place? I did a search myself but I didn’t find a satisfactory system, and then it occurred to me that you (and perhaps Broc West, so this might also be an appropriate question for him) probably have an enormous collection of multimedia material to manage so you should be well suited to answer this question.